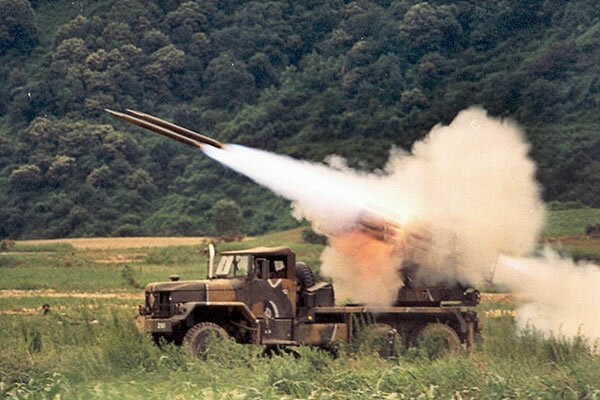 The South Korean K-136 Kooryong MLRS is an indigenously developed launcher mounted on the Korean Kia KM500 truck. The launcher is made up of 36 launcher tubes, which are 130mm calibre. 2 different missiles with varying ranges have been developed. There are also two kinds of warheads, the conventional HE type and the fragmention HE type which contains 16,000 small steel balls. A re-supply Kia KM500 truck escorts the vehicle and carries 72 missiles. Development of the vehicle was carried out through out the 1980’s and final production of some 150+ was completed in 2000. 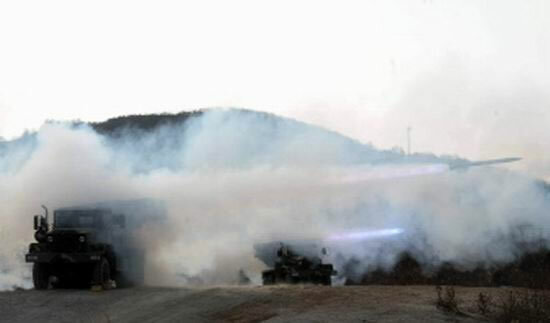 The vehicle serves along side the more sophisticated US tracked M270 MLRS, in the Republic Of Korea Army and has not been exported.